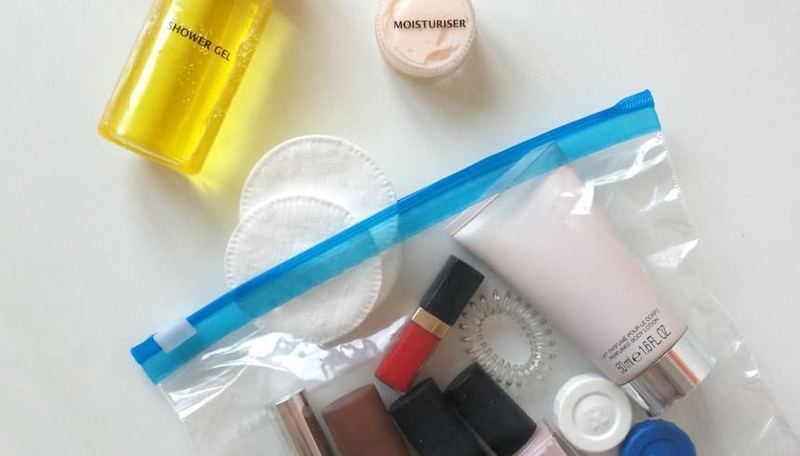 Creams, toothpaste, wet wipes - do you ever lose the overview with all those travel tubes and jars? Or maybe they don't fit in your suitcase anymore? 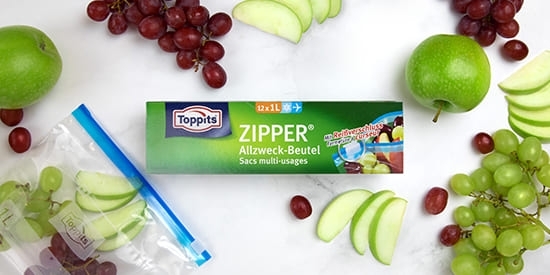 Then you are sure to be happy when we introduce you to the perfect travel companion for keeping things organised - our Toppits® Zipper® all-purpose bag. • Creams, toothpaste, shampoo etc. Instead of just throwing your creams, tins, wet wipes and tubes loose into your bag, pack them in one of our practical Zipper® all-purpose bags. This saves space and nerves, and keeps everything clean and tidy. The transparent bag also gives you an overview of what you have with you. A little tip: When travelling by air, be sure to keep to the maximum amount of liquid (100 ml per container) allowed in hand luggage, otherwise you will have trouble during the security check.